The foundation of any pizza begins with its crust. Garibaldi's pizza crust is made with only the finest ingredients to give it an exquisite taste. Our crust is crunchy on the bottom, light and airy in the middle, perfect every time! We then top our pizzas with the choicest toppings like plump tomatoes, smooth mozzarella cheese and fresh Italian sausage. 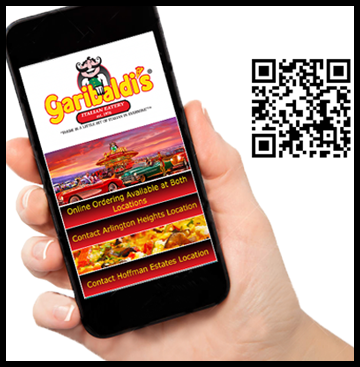 Garibaldi's Italian Eatery offers pizza, Italian dishes, subs, sandwiches, salads & a kids menu. 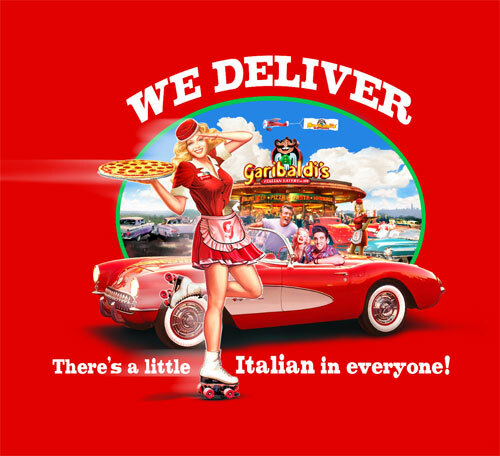 We'll get you the food you want, however you want it: dine in, or delivery, curbside, carry-out and even catering!